UNISPEED USFL 90/37 EL 6/28 is the new machine for 37° and 90° orbital flaring of hydraulic rigid tubes ends. The innovative clamping system enables to process rigid tubes with reduced straight end and dimensions, so it’s the ideal solution for bends up to 180° with tight radius, such as shaped rigid tubes, steel and hose combined connections, etc. The various possibilities of adjustment and configuration of USFL 90/37 EL 6/28 allow obtaining any flaring diameter and thickness. It is possible to flare tubes from diam. 6 to 28 mm (2,5 mm thickness), according to the kind of material they are made of. 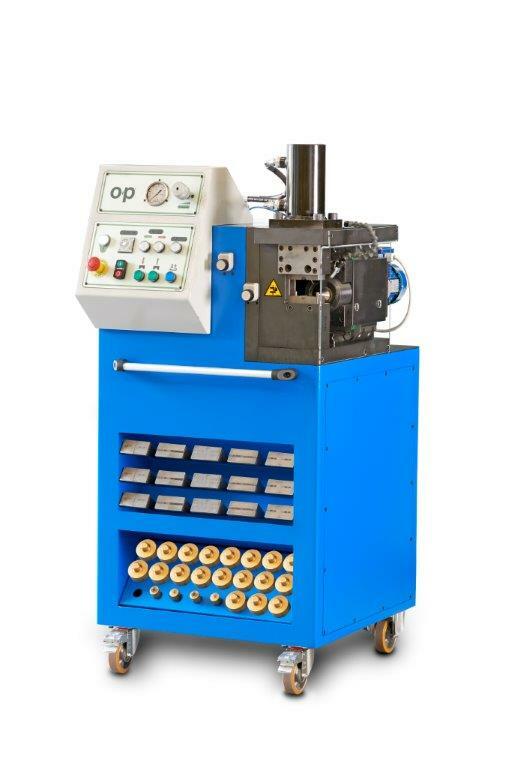 The USFL 90/37 EL 6/28 is provided with two front tool-holder compartments upon request and a lubricating system for the automated tools through dedicated unit. 90° flaring: 6- 28x2.5 mm / 0.236"-1.102"x0.098"
37° flaring: 6-28 x2.5 mm / 0.236"-1.102"x0.098"